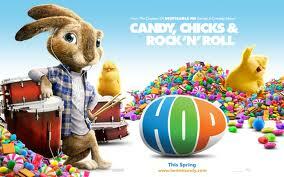 This weekend's free event led us to the Grove where the upcoming movie, Hop was being promoted. The girls enjoyed finger painting on big wooden easels, getting an airbrushed design on their arm, coloring, and taking pictures with the Hop rabbit and chick. They also had a Hop mural where anyone could finger paint using a paint by letter method. My oldest had fun painting a small section of the chick. The girls earned a reward for having good character at our house. Good character means being nice to each other and share. They picked ice cream for the reward. They were excited to see an icecream place at the farmer's market part of the Grove. We stood in line for about a second while I'm scanning the menu board for prices. The smallest cone was $3.75. Almost $8 for 2 icecreams would be breaking the frugal challenge. Sharing 1 cone would just be asking for trouble; so we quickly left the line. So, on we go on a hunt for cheaper icecream when we decide to ride the trolley first. We were the only ones there when the trolley stopped. I, the one who has patience at the moment decide to wait and let people get off before I got on. But then, a swarm of people just cut right in front of us and filled up the row. We missed the trolley. What just happened here? I told my husband we should have just pushed the people right of the way and not let them cut in front of us. Thankfully, my 6 year old put me in check from my ranting. She gave ME a lecture on how it is not nice to push people and I should be be kind to others. We left the Grove to what I thought would be a quick stop at Toys R Us. I ordered something online; so I could just be quickly in and out of the store. They looked up my order and saw it was cancelled. CANCELLED!?? Apparently, the store didn't bother looking at the order to fulfill it, so it got cancelled. I spent about 10-15 min. waiting while they made phone calls to resolve the issue. They told me they credited my account and I would just pay for it again. I gave them my gift card that I used and they told me it has a zero balance. It will take 24 hrs. for my balance to return to the card. Now I have to pay for the item, go back to the store after 24hrs so they can cash out my gift card. What a huge waste of time! So much for ordering online. At this point my patience is wearing thin. Next stop - The Northrige Mall on a shoe hunt. We go down the escalator where we are convinenlty let off where the Happy Animal Rides are. The girls wanted to ride; so that became their reward instead of icecream. They charged $5 for 1 child/1 animal or 2 kids/1 animal for 6 minutes. There was nobody there to take my money. Afer waiting a few min. someone finally comes. She's on her cell. I'm holding $10 in front of her. Then, someone else comes, hands out money and the lady takes it. Am I just invisible today?? I just got so upset, I put the money literally right up to her eyes to make sure she could see I was trying to pay. Still on the phone. She doesn't give me back change. I put my hand right in front of her face to show her she needs to give me $5 change. My girls picked out the animal to ride. My youngest gets on first. Then, the oldest was trying to get on. Before the oldest gets on, the lady turns on the animal. I said no, not yet. Still on the phone. She doesn't hear. I then yelled at her, TURN IT OFF!! My oldest got on and they happily rode their animal. Still on the phone, she just left to talk in the department store. She was nowhere in sight. She must have been gone for 10 min. She comes back, helps a couple more people that had been waiting then leaves again. This was the worst customer service I had experienced in a long time! I just couldn't believe it. The girls animal just kept going. They must had been riding for about 15-20 min. More people showed up waiting and the girl was not there again! I lost my patience with her and I just started turning on animals for whoever wanted to ride again. Here's the trick to getting free Happy Animal Rides if you ever get an incompentant employee who's not there doing their job. Find the switch under the belly, turn it on. Then, turn on the switch on the head. Have Fun! !